 Welcome to this month's edition of Kansas City Apartment Living, brought to you by RM West, our apartments for rent in Kansas City, Missouri. This month we're bringing our residents suggestions for celebrating World Kindness Day and National Sleep Comfort Month, topics surrounding upcoming holidays like Black Friday and Cyber Monday, movies you might want to check out this month like The Grinch and Robin Hood, and book suggestions like The Crucible and The Last of the Mohicans. Read on to learn more about these topics in today's blog post. You shouldn’t need a day to be kind to others, but in case you’re wanting to take advantage of the day, World Kindness Day falls on November 13th. Help others falls in line with the meaning behind Thanksgiving; what better way in there to express our thanks than by helping others? Share the gift of kindness by volunteering at a local shelter or soup kitchen. Do you have trouble sleeping? Do you toss and turn every night? November is National Sleep Comfort Month, so it’s time to get that checked out. There are a variety of ways that you can try to achieve a restful sleep, like flipping your mattress over, changing your sheets, or even investing in the right pillow. If your sleep issues still persist, we recommend consulting a doctor to get it checked out. After your Thanksgiving meal, you may be looking for something to do. Why not go shopping? Black Friday is generally a day with good sales. If you can handle big crowds and the occasional shove from a frantic shopper, you can be rewarded with a discount on the items you’ve been wanting to purchase all year. If you enjoy shopping but don’t want to head out into the Black Friday Craziness, you have to take advantage of the Monday after Thanksgiving! Many people have moved away from heading out on Black Friday in favor of shopping at home on their computers, so the items you want may be out of stock if you’re not quick enough! Check out The Grinch this month on Friday, November 9. The Grinch hatches a scheme to ruin Christmas when the residents of Whoville plan their annual holiday celebration. The Grinch is a great weekend movie to see. Buy your tickets online today! “Written in 1953, The Crucible is a mirror Miller uses to reflect the anti-communist hysteria inspired by Senator Joseph McCarthy's "witch-hunts" in the United States. Within the text itself, Miller contemplates the parallels, writing, "Political opposition... is given an inhumane overlay, which then justifies the abrogation of all normally applied customs of civilized behavior. A political policy is equated with moral right, and opposition to it with diabolical malevolence."